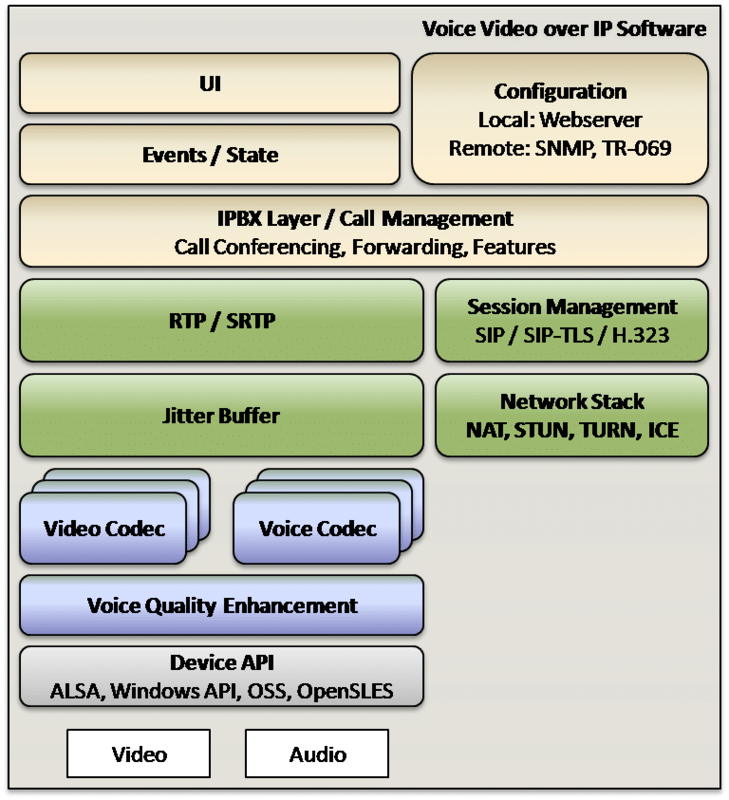 VOCAL’s Video PBX Reference Design enables licensees to create video products with a rich, flexible feature set, world-wide configurability, multilingual support, and simple upgrade/expansion paths. Our Video PBX provides cost-effective video telephony and high quality video conferencing for home or small/medium sized businesses. Features include sending/playing streaming video, web browsing, email, instant messaging, media player (including mp3, videos, etc. ), and digital recording. Contact us to discuss your video PBX application requirements. VOCAL’s V2oIP software and highly optimized On-One™ DSP technology can significantly reduce materials cost. By running all DSP functions and application protocols under its own simple network operating system, all high density processing can be performed on a single processor. With over 30 years of custom design and development in the telecommunications industry, VOCAL’s expertise and extensive customization support will result in the product you want at an unbeatable cost. Since VOCAL provides both the hardware design and a complete, optimized software solution, the result is a fully integrated and robust product which can be brought to market quickly.